How Can I Go Askeland Chiropractic & Acupuncture? Where is Askeland Chiropractic & Acupuncture in Raleigh on the Map? Best Chiropractor in Raleigh! 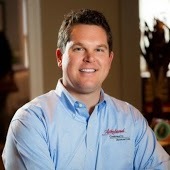 Dr. Askeland is a true professional and an expert in his field in helping you with any issue you may have. As a long distance runner and new Mom, there are many times you don't realize how much wear and tear your body has until you go in for a visit and walk out with a reduction in any pain or symptoms.His administrators are top-notch and deliver fantastic customer service. I would highly recommend his practice to all! Dr. Askeland is amazing. I wouldn't go to any other chiropractor. He takes his time with each patient and the staff is equally as amazing. I refer him to all my friends! Dr. Erik is the best! Over the years I have been challenged with many health issues including sciatic nerve pain, intercostal rib problems, lower back pain, sacroiliac issues, neck pain, shoulder pain, just to name a few. Dr. Erik is exceptionally knowledgeable, he listens and understands the issues and offers solutions and preventative care. With his adjustments I get instant relief and am back to normal and pain free in no time. His staff is very professional and friendly and you feel almost like family :o) I recommend Dr. Erik to anyone with health issues as he delivers results! Two years ago when we met Dr. Askeland my wife could barely walk in to the office, now she is very active and happy and almost completely pain free. Then she talked me into seeing him and there has been dramatic improvement for me and my pain management as well. Cant say enough good things he is amazing.